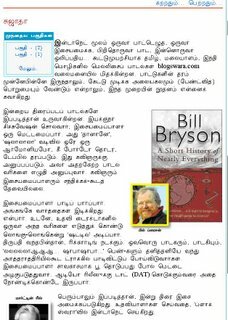 Celebrated tamil writer and intellectual - Sujata, has a word of praise for blogswara in the popular tamil weekly vikatan. Thanks to my friend Balaji Srinivasan who sent me the reference !! Sujata explains how the songs are usually made in the film industry. The music director sends the tune to the lyricist thru an assistant. The lyricist writes the lyrics and sends back thru the assitant. The assistant makes several trips between them and finally when the music director is happy with the lyrics, he starts working on the complete song. The singers or the choir people are summoned even in the mid-night if need be and the songs is recorded. The music director keeps poking at the track for embellishments until the final (DAT) stage. Sujata also explains how Blogswara has achieved it through internet obviating the need for any assistants (well..we cannot afford it in the first place ! :) ). He also notes that, although the quality of the songs may not be uniform he is impressed with the innovativeness of the concept. That's really wonderful. 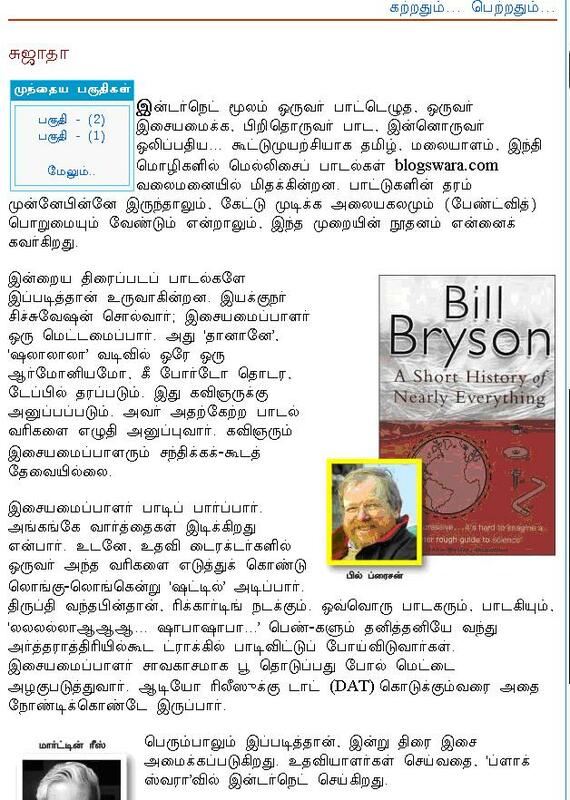 Getting recognition in the print media, that too from a renowned writer like Sujata! I too read that in that magazine. Great people are recognizing your work. Wonderful. Its really great that this blog was given recognition.....a source for talented singers,composers...came across this blog for the first time.....and so glad to see so many talented people...hats off to you guys!! !